YES, '7.65 mm MAUSER' HAS BEEN STAMPED on some Mausers! pistol. In his possessions was a found a receipt dated March 12, for the money order he allegedly used to purchase the rifle (no receipts were ever found for the pistol in his belongings). The purchase amount was $21.45. This was for one rifle with a four power scope, but no clip or bullets. The letter had a postmark of 10:30 AM. 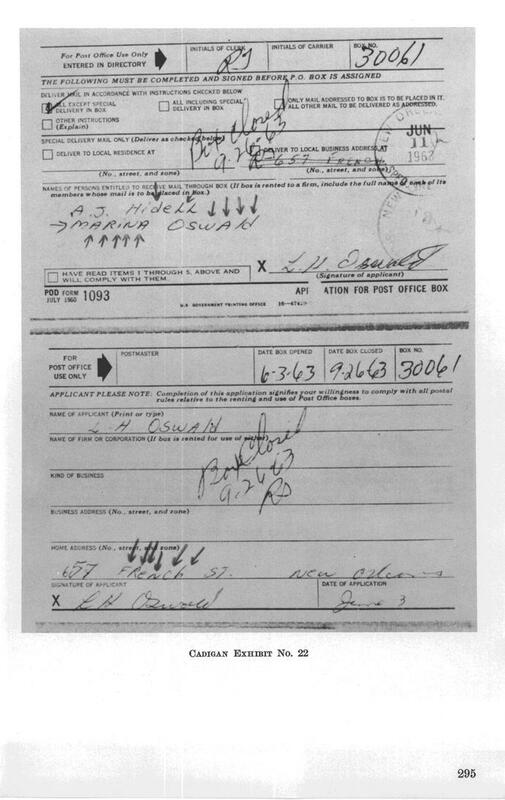 So, Oswald had a window of 8:30 AM to 10:30 AM to purchase the money order and mail it off. The order arrives at Klein’s Sporting Goods in Chicago the next morning [sent via Airmail: the Warren Commission was told that an overnight train could accomplish this, without mentioning that the order was posted TOO LATE to be collected, sorted and placed on the train that came early enough to make that possible. JVB]. Very good for pre-FedEx days! Kline’s reportedly deposited the money order in its bank account on March 13. However, under closer inspection the money order is missing many of the bank routing stamps which would show its path through the banking system. 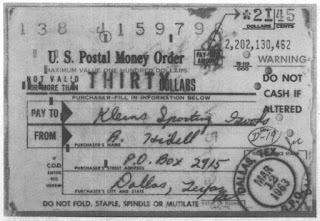 Only the endorsement stamp of Klein’s is there; it’s missing the stamps from the First National Bank of Chicago, the Federal Reserve Bank of Chicago, and finally, the Federal Postal Money Order Center in Kansas City. None of those three routing stamps are on the back of the money order. 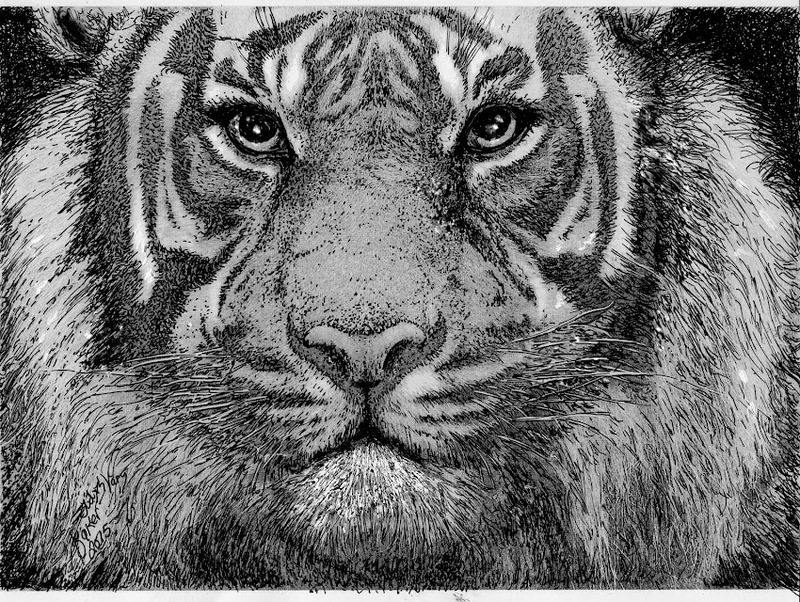 The stamps have to be there to show that each bank pays only once, if not you have a mess on your hands. Other money orders that Oswald bought, such as the ones he used to pay off his State Dept. loan, all have these routing stamps. So this is most unusual and never investigated by the Warren Commission, the FBI, or any other agency. It certainly gives weight to the idea that Oswald’s payment never made it through the banking system. 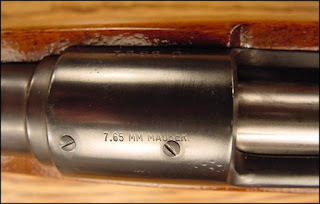 One problem with the case and which is largely ignored, was in the spring of 1963 Klein’s was only selling the 36” model of the Mannlicher-Carcano. This is clearly shown in ads they had running in various sporting magazines. 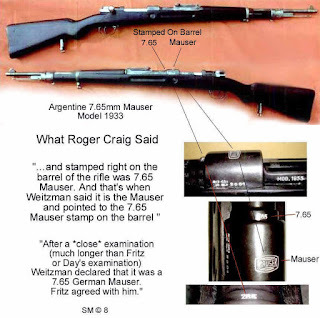 The rifle found on the sixth floor near the sniper’s nest was the 40” model. Kline’s was not selling that model in March of 1963. However, there are several accounting records with the amount of $21.45 listed. One entry is for March, 1963, but another for February 15th. 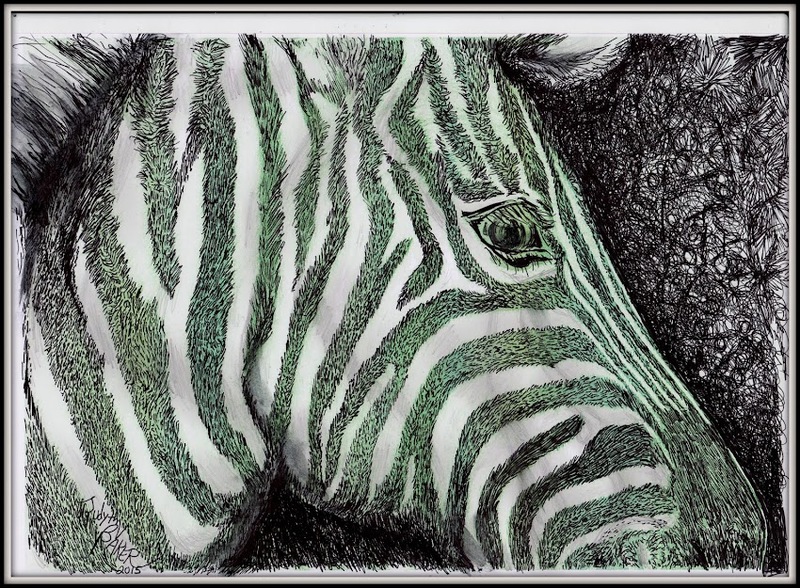 One is listed under the heading, “checks.” But checks are a different type of financial instrument than a money order and should not be listed under that heading. There is also a listing for “other banks” but what banks are those? There is no serial numbers identified for the amount of $21.45. It could be C2766 or somebody else’s order. It should be noted that Klein’s went out of business in 1973 and its remaining financial records were destroyed. Also, many accounting records on microfilm disappeared while in FBI custody (Armstrong, p.475). rifle, from Klein’s Sporting Goods accounting to bogus money order missing it routing track. It’s been implied by some researchers, such as John Armstrong (Harvey and Lee) that Oswald’s P. O. Box was authorized for his name only and any mail arriving with another name, in this case his Hidell alias would result in a return to sender. This makes getting his gun shipment to him problematic to say the least. The Warren Commission knew this and simply stated in the final report that, “It is not known whether the application for post office box 2915 listed ‘A. Hidell’ was a person entitled to receive mail at this box.” They had the original application, published in evidence volume 19, page 286. While it lists Lee Oswald as the applicant there is no authorization for mail under his name only. There are other issues at play to further complicate this besides the mail box. [NOTE by JVB: the Warren Commission was told by Holmes, the Postal Inspector, that a note --that there was a package in Lee Oswald's box -- could have been possible, so Oswqald could ask for the rifle, but it would have been illegal to hand over a RIFLE for "Hidell" to Lee Oswald, who could presumably take the rifle for himself. That fact makes this excuse by the postmaster absurd.]. One of the postal regulations at the time required that anybody purchasing a firearm had to fill out and sign a 2162 form. Not only the buyer but the seller as well. This form was to be kept on file for four years. This form was never found on either end, from buyer or shipper. The FBI never requested it and Klein’s never volunteered a copy. 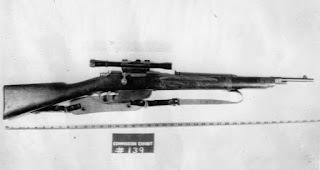 Dallas Postal Inspector Harry Holmes told the Warren Commission that it basically didn’t matter than Oswald could have received the rifle under his alias. Interestingly, Holmes had been monitoring Oswald’s mail for up to a year since he was receiving subversive materials in the mail (i.e., FPCC and other communist literature) but couldn’t tell the Warren Commission that Oswald had received a package with a gun in it. Why didn’t he know? Oswald’s box was basically flagged. Oddly, Holmes apparently never mentioned that Oswald would have to have filled out the aforementioned 2162 form if that were the case. 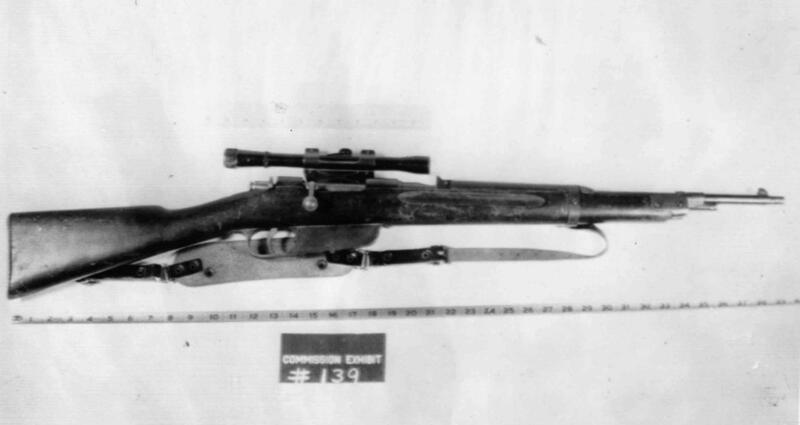 If the weirdness with rifle is not enough, enter the .38 caliber pistol that Oswald allegedly used to kill Dallas police officer J. D. Tippet. Sold from Seaport Traders, Oswald [supposedly] took order of a snub nosed Smith &Wesson .38. Before he could order it he would be required under Texas law to get a “certificate of good character” from either the Justice of the Peace or a District Court Judge. This would be hard to do since he was ordering the pistol under his Alek Hidell alias. Imagine applying for a certificate verifying your character using a phony name! Apparently, he never did. The certificate would have to have been shown to the shipper before the firearm was released to the buyer. 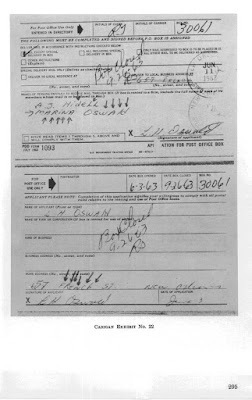 •Post office box address only authorized for his name Lee Oswald. Anything sent with another name (as the rifle allegedly was) would be marked return to sender. •Money Order not marked with proper routing stamps proving his path through the banking system. •Work records at Jaggars-Chiles-Stovell show Oswald was employed at the time the MO was allegedly purchased and mailed. •No finger prints found on the MO or the order coupon. 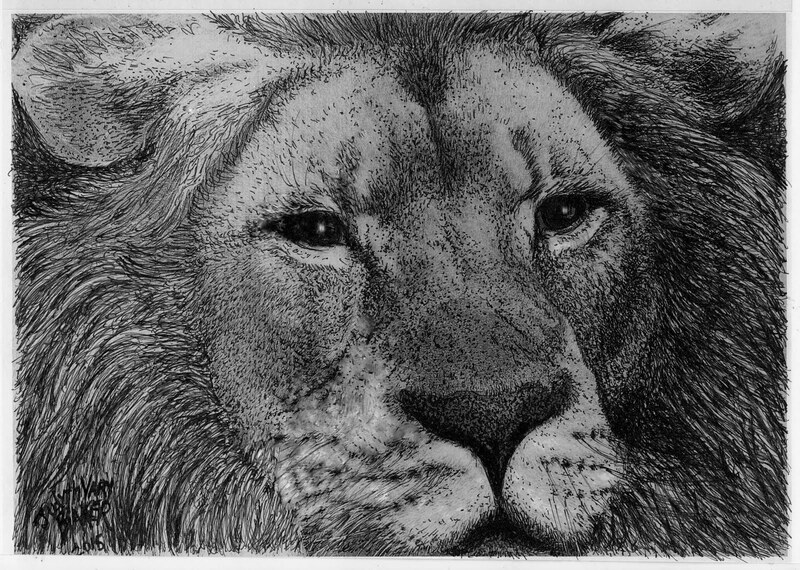 •MO eventually found in the National Archives in Washington, DC rather than the final resting place in Kansas City, MO. •No 2162 form ever found from the buyer or the shipper. •Oswald ordered the 36” model but apparently possessed the 40” model not for sale at Klein’s Sporting Goods at the time of sale. 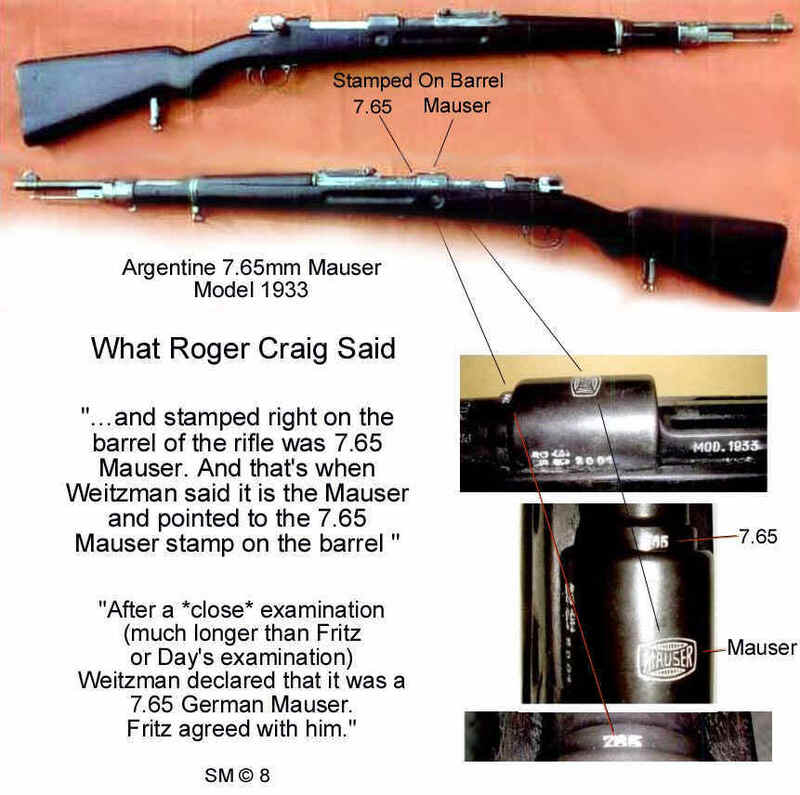 •Klein's financial records did not list a sale of a rifle with C2766 in March of 1963 but instead, June of 1962–when Oswald could not possibility have ordered it and spent part of that month out of the country. •No “certificate of good character” acquired for use in receiving the .38 handgun. •Both the rifle and pistol are different models than the ones he ordered. Edited by Steven Gaal, 26 May 2015 - 11:52 PM. 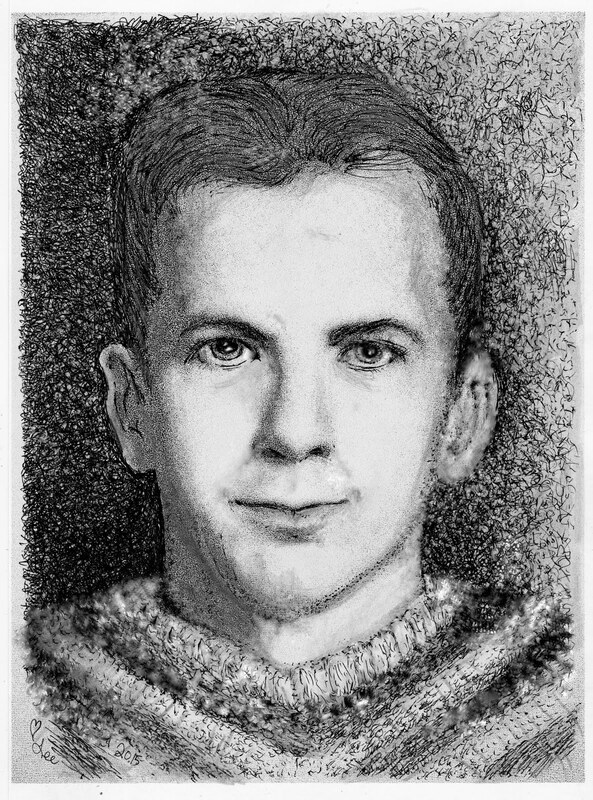 READ ABOUT THE REAL LEE HARVEY OSWALD IN JUDYTH'S BOOK ME & LEE.